Come on! 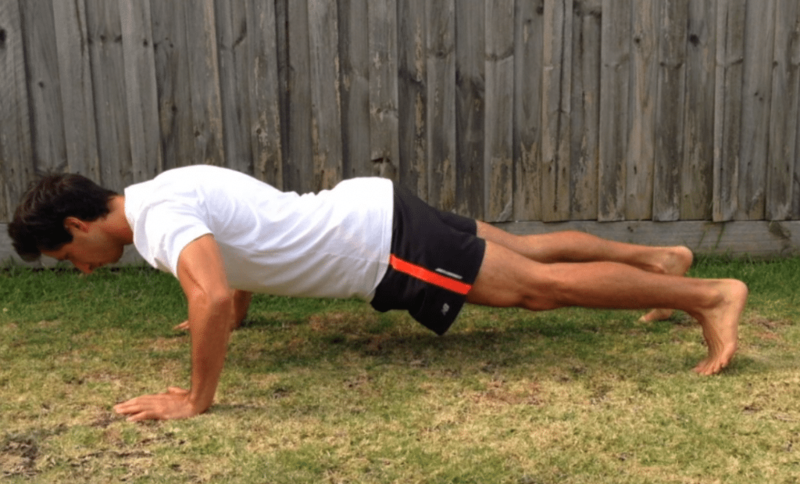 Don’t roll your eyes – the plain old simple push up is a fantastic way to build upper body strength while working your core muscles at the same time, and as you can see in the ‘Performing the Perfect Push Up’ video, there are so many ways to regress and progress a push Up and reduce/add difficulty depending on your fitness level. A significant part of my job as a fitness coach is to re-train clients on how to perform movements correctly, which is keeping core control during the movement while maintaining good postural alignment through the spine, shoulders, hips, and legs. Check out my video ‘Performing the Perfect Push Up’ below to see these points in action, as well as different push up variations.